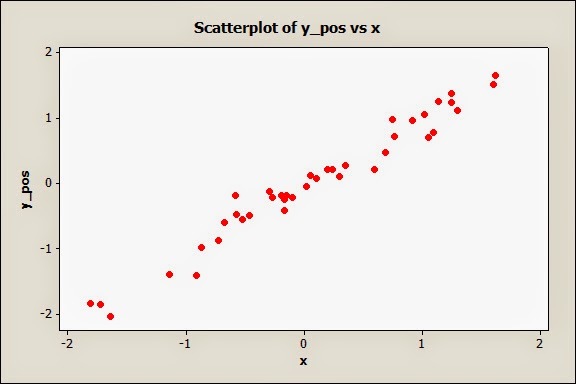 A basic tool of statisticians is the scatterplot. 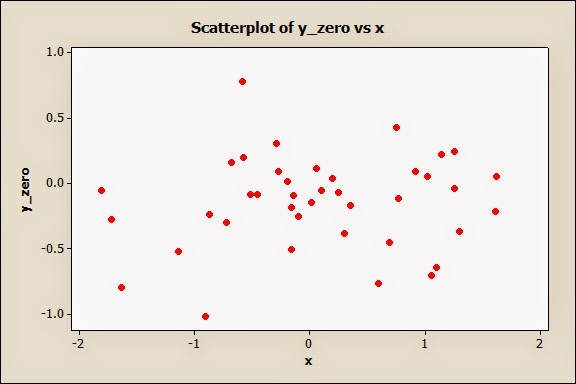 You have two variables (let's call them x and y) and put them on a graph with each observation being a dot. You then look at the pattern of dots. Of course, not all data follow such a simple pattern. 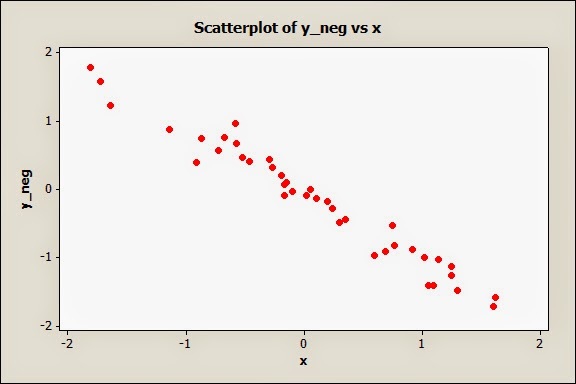 But I don't think I've seen any scatterplot quite as odd as this one. 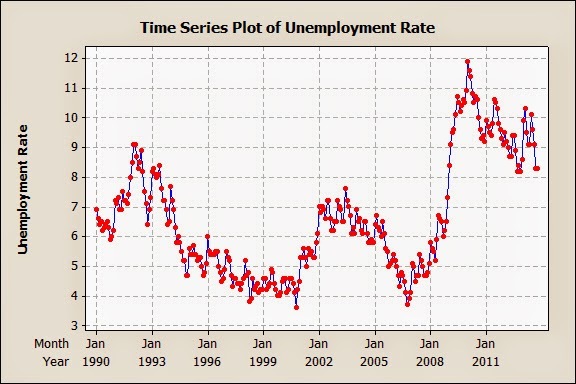 The x axis is the monthly unemployment rate. 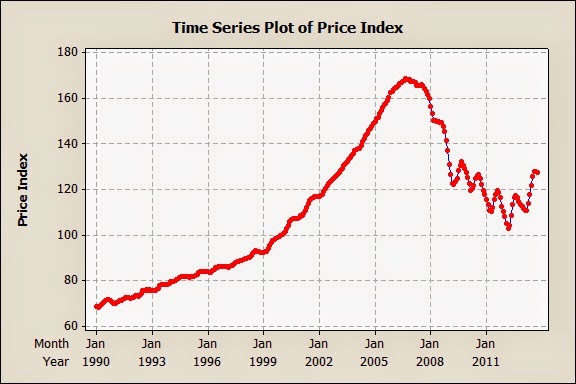 The y axis is the monthly Case-Schiller index of housing prices. The data are from the Chicago market, from January 1990 to October, 2013. This looks more like a ninja throwing star than a data pattern. If we do a time series graph of these series, we can get a bit more insight. The unemployment rate is following the business cycle (some would argue it IS the business cycle, particularly if you are unemployed). from 1990 to mid-2007 the housing price index isn't following the business cycle; it's just going up into a bubble. Even now, it's at a considerably higher level than it was in 1990. In the early months, there seems to be the expected negative correlaiton. 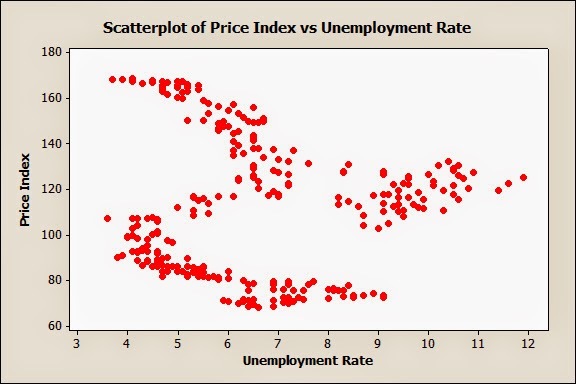 Then the correlation is positive for a while (when unemployment is rising, but so is the price index). Finally, we return to the negative relationship, but at a higher price level than before (110-170 rather than the earlier 70-100). Naively, we would expect a stronger negative correlation, but perhaps this mainly illustrates that bubble psychology overrides normal economic connections ... for a while.